Each chapter of this book is based on a couple; how they met, how they became engaged, married, experience in WWII, and how they've made their marriages last 60-70 years. pg.203 The weight of the explosives made an already tricky landing more difficult, and as they made their approach, Robbie knew they were in trouble. "Without warning the plane lurched and trembled. Like a goose hit in the wing by a volley of shot, we plummeted into the Pacific with terrifying finality." Some gruesome details are shared, but not many. Obviously some of the men had PTSD, something that wasn't really known about or properly dealt with back then. pg. 207 Tom says, "That's where I kissed her for the first time. The wind came up and blew my hat off. Down it went, into the sand pit. She's a powerful kisser to blow my hat right off!" The couples definitely had a mettle that couples today do not seem to have. We currently, sadly, live in a throw away society and that seems to go for relationships as well; not just marriages, but long lasting friendships. Something that also stuck out to me in this book, was the strong familial relationships, which I think also reflected in the strong marriages. Also, the women didn't freely give themselves away, if you know what I mean. 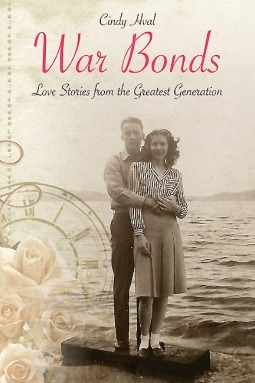 Sign into Goodreads to see if any of your friends have read War Bonds. 50.46% "I'm really enjoying reading about each couple. In some ways they are similar but they are also each unique. What has really hit me is the time/era seems so innocent in some ways. They seemed to have a happiness and fortitude that doesn't seem to exist now."